Asking open-ended, engaging questions is a great way to get to know your students and for them to get to know each other. 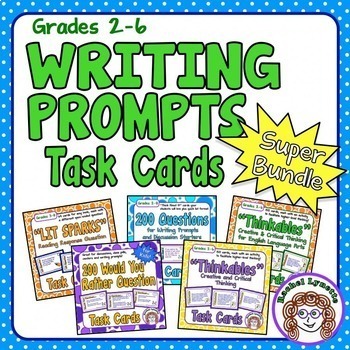 Use these ones as discussion prompts or as writing prompts for journals or notebooks. How would life be different if there were no electricity? List three different ways. Explain a flower to someone who has never seen or heard of one before. Write a story about the zoo without using the names of any animals. Pretend that you get to make one rule that everyone in the world must follow. What rule do you make? Why? What kind of soup would you eat for dessert? Write a recipe for dessert soup. You can have any three things that you want. In return you must give away three things that are about the same size as the things you get. What do you get and what do you give away? Are you more like a square or a circle? Why? How would the game of soccer be different if the ball was shaped like a cube? What are three ways the world would be different if people did not need to sleep? What would you do with the extra time? What would happen if all the bowling balls and bowling pins in the world suddenly became alive? Which do you think is more important: motorized vehicles like cars and airplanes or computers? Why? If you could choose one thing that costs money and make it free for everyone forever, what thing would you choose? Why? If you could live in a tree house, would you? What are three advantages and three disadvantages to living in a tree house? If people could not see colors, how would traffic lights work? Design a traffic system that does not rely on colors. What are the 10 most important jobs in the world? Do you want to do any of these jobs when you are an adult? Pretend that parents have to take a test before they can have children. 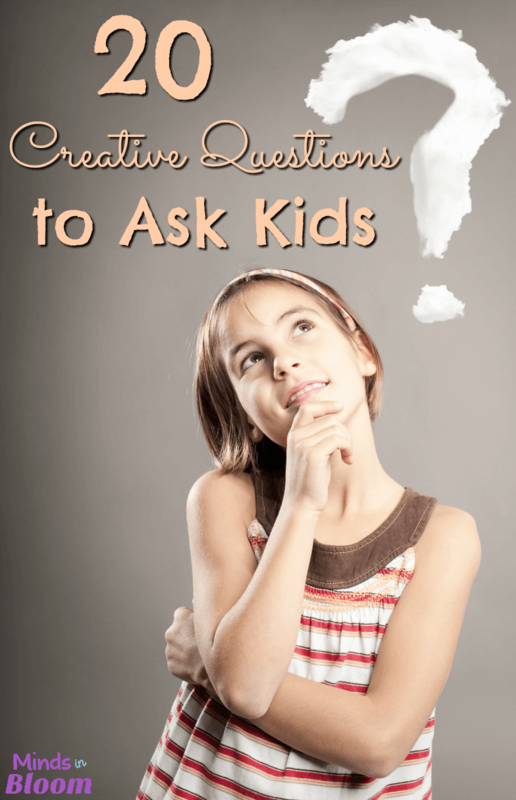 Write six questions that would be on the parenting test. If you could invent a new subject that would be taught to all children in school, what would the subject be? Why do you think children need to learn about your subject? If you could talk to trees, what do you think they might say? Create a conversation between you and a tree. Are you more like a river, a lake, an ocean, or a waterfall? Why? Want more? 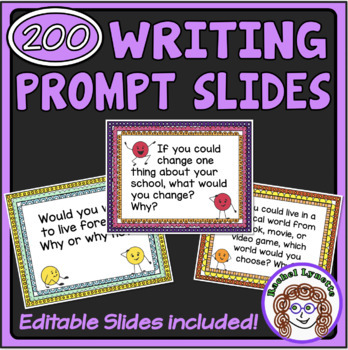 Here are 200 prompt slides for writing or discussion that you can display for the entire class. Prefer a card format? Check out this giant bundle! I am always on the hunt for new writing ideas – I love these and have printed them out already. Thanks to you both! Going to post some ELA themed ones soon! We would like to ask permission to use some of the questions as reference for our research on creative thinking skills. May we? Yes, that would be fine as long as you cite the post with a link. Thanks for asking!